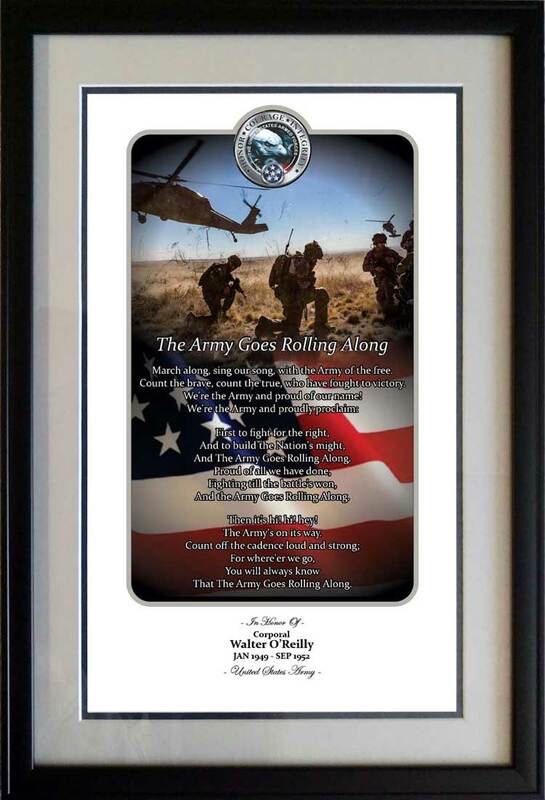 Our 14" x 21" framed personalized military print is custom designed and printed on 100% acid free paper so it will not yellow. 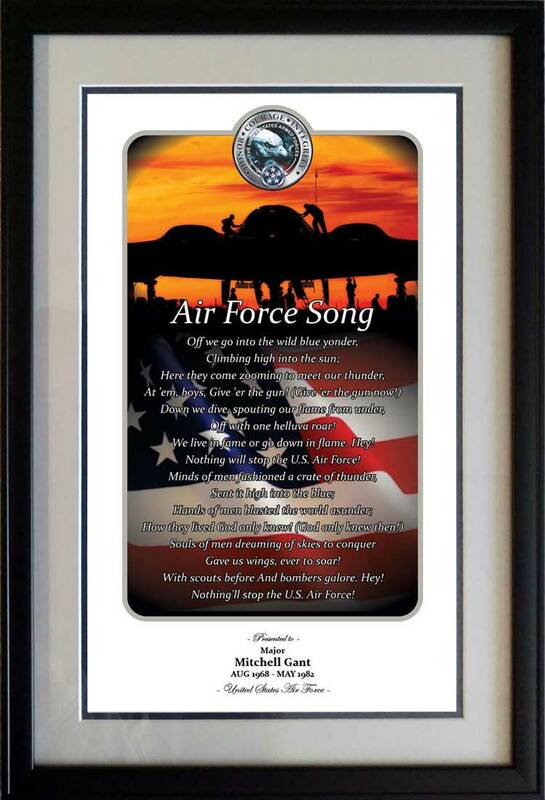 The print is doubled matted with top of the line UV coated mattes. 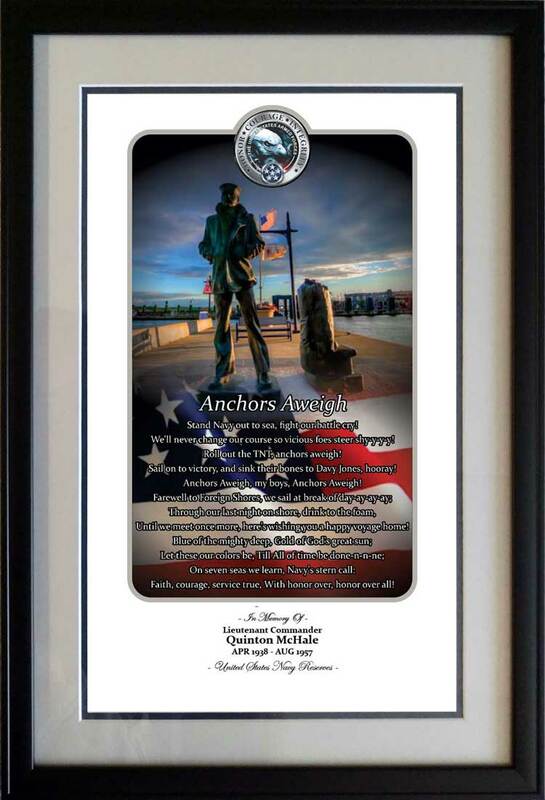 The solid black one inch frame is custom made for each print. The print is finished off with a UV coated conservation clear glass to protect your print. 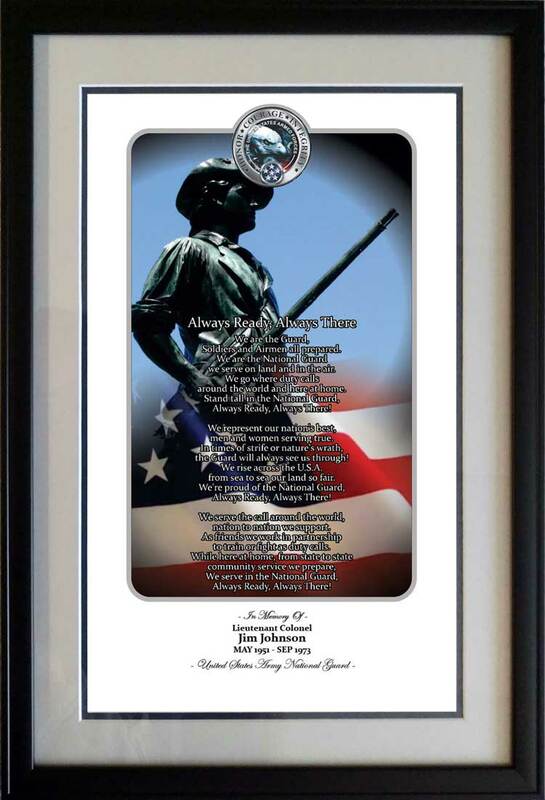 Makes the perfect unique and personalized active military or veteran gift! 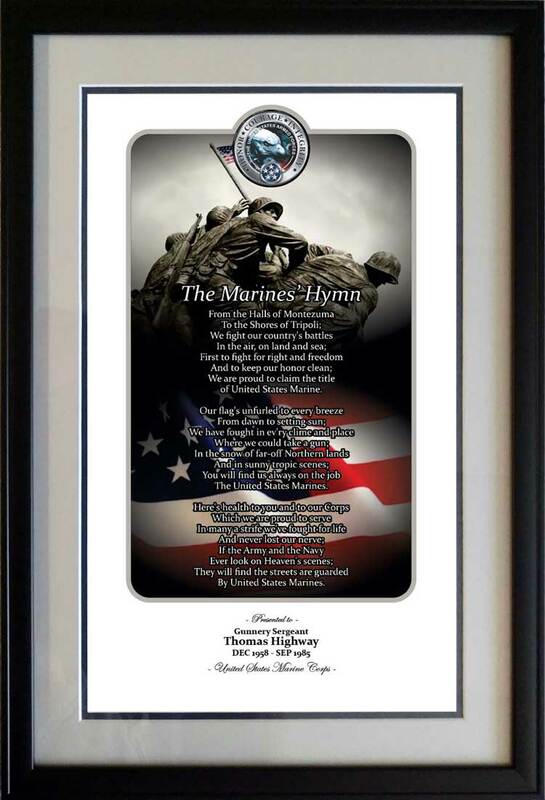 • Free Shipping on all military prints! 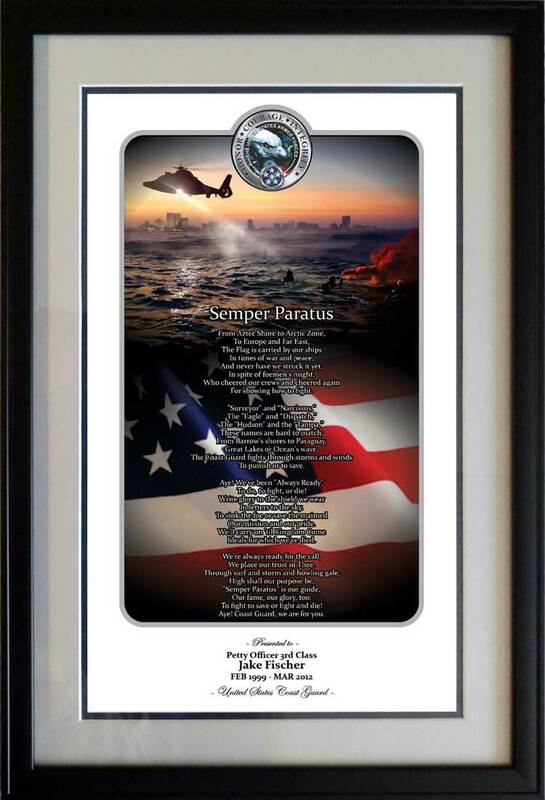 10% of all sales donated back to the USO CSO this month.